Don’t Forget To Enter My Cetaphil Product Giveaway! 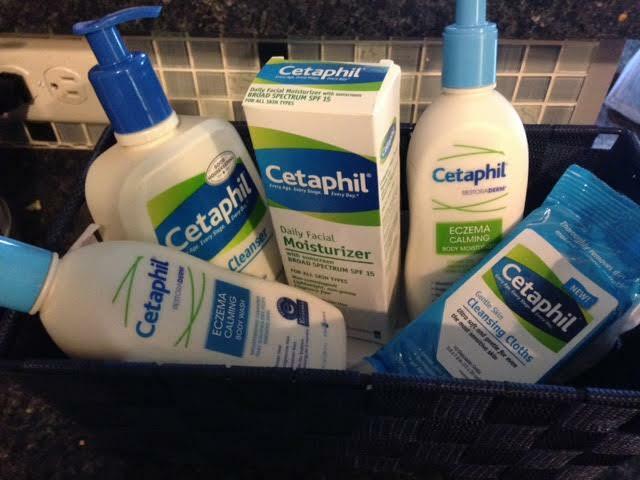 I am giving a way a basket of Cetaphil goodies to one lucky winner! I received the above basked of Cetaphil products for review and am giving one just like it to a lucky reader. Just leave a comment and let me know if you use Cetaphil or have always wanted to try it. I will pick a winner at random on Monday, July 13th. United States residents only. Cetaphil Gentle Skin Cleanser — ($13.99) a mild, non-irritating formulation that soothes skin as it cleans. In fact, it’s gentle enough for a baby’s delicate skin. Designed specifically to work for all skin types, it is a simple, yet highly effective way to care for your skin. 10 count of Cetaphil Gentle Skin Cleansing Cloths — ($2.99) — leave skin feeling fresh and clean – without drying out or disturbing skin’s natural pH balance. Cetaphil Daily Facial Moisturizer — ($16.99 USD) — Under your makeup or after shaving, Cetaphil Daily Facial Moisturizer with SPF 15 is a gentle moisturizer suitable for all skin types. Daily use improves your skin’s ability to retain vital moisture. Cetaphil Eczema Calming Body Wash — ($17.79 USD) — formulated to soothe dry, itchy skin associated with eczema and atopic dermatitis. Using advanced technology, this creamy wash gently cleanses and rinses without irritation and holds skin–nourishing oils in a gentle, soap–free cleanser. Cetaphil Eczema Calming Body Moisturizer ($17.79 USD) — formulated to moisturize and bring soothing relief to atopic skin and symptoms associated with eczema. Its advanced technology helps to repair your skin’s protective barrier and promotes hydration for even the toughest skin conditions like eczema, atopic dermatitis, contact dermatitis, cradle cap, and more. My oldest daughter has eczema, and these products have really made a difference in her skin. The eczema line is especially good for her irritated skin. I love the face cleanser as it calms my sensitive skin! You can purchase these products at a mass market retailer near you or at http://www.cetaphil.com. So, leave a comment below and enter the contest! Good Luck! Previous postBeauty.com Summer Gift with Purchase — Trina Turk’s Sunset Cosmetic Pouch! Next postLast Day To Enter My Cetaphil Product Giveaway! After reading about these products, it would be beneficial for my husband and daughter to try them as they both have sensitive skin. This would be a wonderful way to try the Cetaphil products! I have always wanted to try Cetaphil.